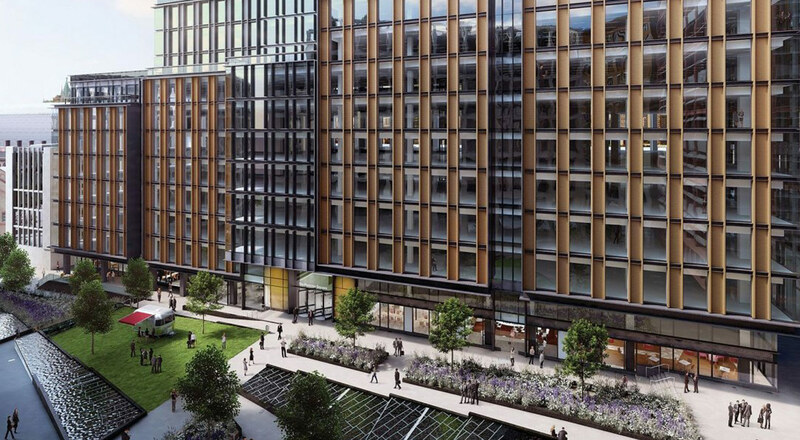 Google recently announced ambitious plans for a new office complex in London. This month it unveiled an artist’s impression of the new complex and submitted plans to Camden Council. The complex, which will replace an existing building, is to be designed by BIG and Heatherwick Studio. It will be 11 storeys high and have almost 93,000 square metres of office space. The site chosen by Google is a spatially heterogeneous zone where train stations, roads, canals and a multi-layered mix of infrastructure meet and converge in London’s most connected point. The complex is to be built with durable materials that not only stand the passage of time but can also be quickly and easily repaired, keeping the complex and its surrounding areas in perfect condition. ‘Our design for the new Google Campus in King’s Cross takes its inspiration from the local character of the area. We’ve made the most of the surrounding buildings and at the same time we’ve created a continuity between them, connecting the different Google departments across the different levels’, says architect Bjarke Ingels. Above all, the design meets Google’s most basic requirement for a functional office complex: a spacious layout with interconnecting areas.